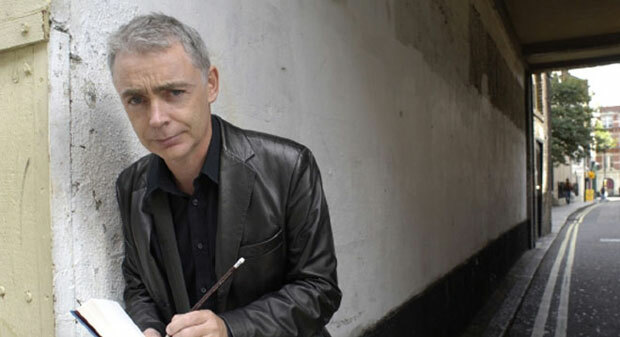 Eoin Colfer was born in Wexford, Ireland dated May 14th 1965. Born to a family long linked with arts and literature, Colfer was always encouraged in regard to his passion with writing and keen appreciation for arts. His father was an elementary school teacher and history book writer, his mother was also an artist and stage writer. Since elementary schooling Colfer developed intense affection with writing and started working on his own work in 6th grade. His first piece of work was a class play Norse Gods. Eoin Colfer gained his degree from Dublin University and qualified as a primary school teacher to follow his father’s foot prints. In 1992 he left his homeland along with his wife to practice his teachings. Over a period of four years he moved between East Africa, Asia and Italy. His voyage to Tunisia, East Africa, inspired and compelled him to write his first book Benny and Omar which was published and very well received in 1998. Since its publication this book achieved best selling status in Ireland and has been translated in several European languages. Its sequel Benne and Babe was nominated for Irelands Bjstro Award in 2000. Courtesy of his teaching experience particularly with students having learning disabilities and emotional challenges, Eoin developed great understanding of children’s humor and attitudes. This insight is also reflected in his books and writings. In 2001 Eoin left his teaching career in order to concentrate more on his writings. His most famous work as yet is a science fantasy series Artemis Fowl. Also referred some times as the new Harry Potter, Artemis Fowl was published in 2001 and instantly gave a well lift and recognition to Eoin as a writer. The series comprises of six novels, with its last part published in 2008. It was one of the most eagerly awaited books ever published. Just six years after publication of Artemis Fowl’s first part, Colfer had sold over 10 million total books in United States alone and had made himself known as one of the leading authors of children fiction. He condemns comparison of Artemis Fowl with J.K Rowling’s legendary Harry Potter series with an argument that his is a modern fairy tale paying reverence to Raymond Chandler and James Bond. Colfer has been widely criticized for being too modern and for being too violent for young audience. This criticism has been source of many heated debates among his supporters and those who oppose to his series. Despite continuous growth of his leading series both in terms of number and success, Colfer says he is not restrained to writing utterly for his best selling character. In 2008 it was announced that Colfer will work on a sequel of Hitchhiker’s Guide to the Galaxy by Douglas Adams. His other titles that have gained tremendous success around the world include ‘The wish List’, ‘Super Naturalist’ and his most recent work ‘Half Moon Investigation’. Following the footprints of her mother, Colfer is very much involved with theater as well, he has written many plays that has been successfully staged and well appreciated in Ireland.